A fatal pedestrian crash occurred in Sacramento on January 18 sometime before dawn when a woman’s body was discovered lying in the road at Folsom Boulevard near 46th Street. The accident is being investigated as a hit-and-run by local police. According to one of the officers, they received a call about a woman at around 6:00 in the morning, who was lying on the street. First responders arrived at the scene, along with police, and discovered that the woman, believed to be in her 30s, was deceased. According to the Sacramento Police Department, it is thought the vehicle that hit the woman was heading eastbound on Folsom Boulevard at the time of the accident. Folsom Boulevard was shut down to traffic from 44th to 48th Street, and an investigation into the accident was completed sometime before 10:00 in the morning. I want to extend my prayers and sympathy to the family and friends of the deceased young woman in this time of tragedy and sorrow. In an update on the case, the deceased pedestrian who died in the hit-and-run accident was identified as 29-year-old Niema Cameron, a resident of Rancho Cordova. The investigation is ongoing after police discovered a silver-colored Honda minivan, which is suspected to be the vehicle that struck and killed Cameron. The vehicle was located on January 18 in Oak Park on 36th Street. No information was released on whether police have identified and located the driver. The driver, when located, will probably face charges of felony hit-and-run as a result of the crash. 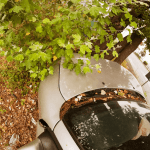 Physical evidence is important in discovering the identity of a hit-and-run driver, especially since witnesses to the accident may not be found. Tire tracks left by the driver’s vehicle can help determine speed, the direction the car was traveling and whether or not the motorist attempted to stop. Broken pieces of the vehicle, paint chips, headlight glass, mirrors, and other physical evidence can help determine what the make and model of the vehicle was. Photographs will be taken at the accident scene, along with measurements. Traffic cameras or those from nearby retail stores may provide important information. Injury lawyers who are experienced in hit-and-run accidents can help to locate the driver so that compensation may be sought for the family of the deceased. Pedestrian accidents resulting in injuries or fatalities are common in the Sacramento area. 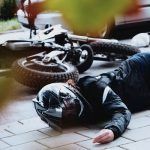 While some of them can be attributed to negligence on the part of the walker, motorists are responsible for a large number of these types of accidents. 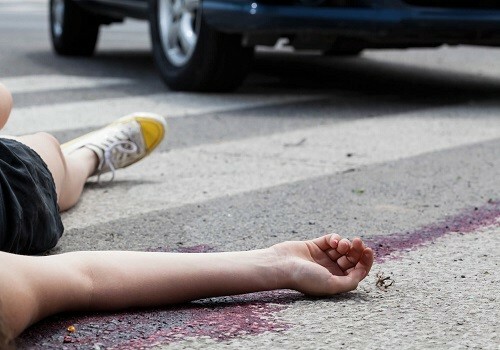 Speeding can increase the risk of a fatal pedestrian crash. Because it is more difficult to stop or control a vehicle at higher speeds, this is one way the risk is increased. In addition, the faster the vehicle is traveling, the higher the risk of serious injuries or fatalities. Distracted driving comes in many forms, the most common of which is texting or talking on a cell phone. However, any activity that takes the driver’s eyes from the road for even a few seconds such as changing a radio station can cause a fatal pedestrian crash. Aggressive drivers commit dangerous acts such as weaving in and out of traffic, running stop signs, tailgating and driving in other hostile ways. These types of flagrant disregard for traffic laws can cause accidents involving other motorists, pedestrians, and others. Drowsy driving can make a motorist fall asleep or become less aware of their surroundings. I’m Ed Smith, a Sacramento wrongful death lawyer. 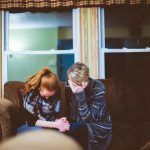 When a family has lost a loved one through the negligence of another party, they may be able to obtain fair compensation for that loss. In the Sacramento area, I can be reached at (916) 921-6400 for free and friendly advice. Outside the area code, you can contact me at (800) 404-5400 throughout Northern California on my toll-free line. An online contact form is also available on my website, AutoAccident.com. The National Association of Distinguished Counsel invites only the lawyers they feel hold a high standard of excellence to join their association. I am a California member of this group. In addition, I belong to the Million Dollar Advocates Forum, which recognizes trial attorneys who have obtained more than $1 million for a client. 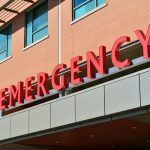 I’ve worked as an injury lawyer in Northern California for 37 years, upholding the rights of its residents to obtain compensation in all kinds of traffic accidents, truck collisions and traumas such as brain injuries.